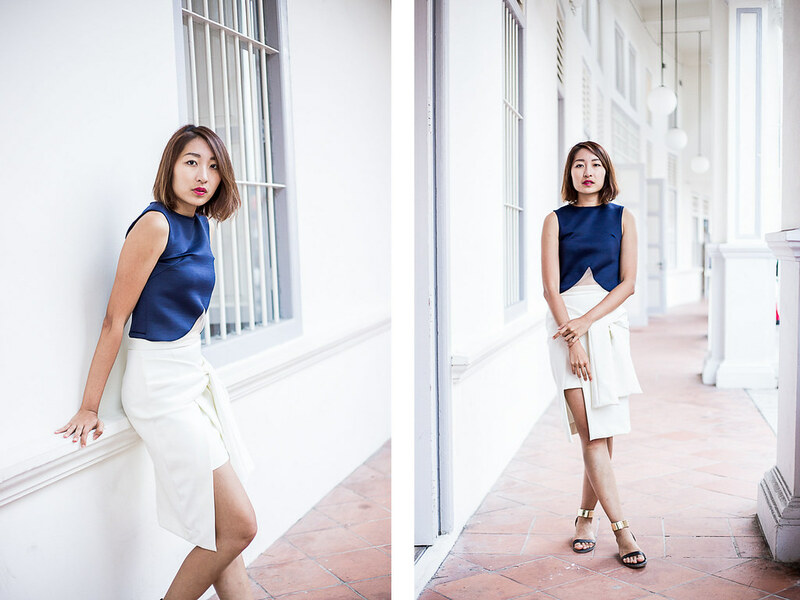 Finally managed to squeeze in a quick shoot at Keong Siak St. This location is rather interesting since it's close to Chinatown, known for its late night street food, while also being part of an enclave of cool restaurants and bars. I've always liked the vibe here since it has always felt less pretentious as opposed to bars located smack in town. Sharing with you a series of urban, laid back hangout places for eating and drinking which I like to frequent whenever I'm in this area. This is by no means an exhaustive list, since there are many restaurants and bars I've yet to try here so please google for more results! The Working Capitol is converted from a old shophouses which used to house an old biscuit factory, into a beautiful and functional co working space for professionals. The Daily Roundup is its cafe on L1, which serves crepes, reliable coffee and iced tea. The best thing about this place is that it has ample plugs, free wifi and a quiet ambience that makes it really conducive for working. This is technically not located at Keong Siak Road but just one road across at Neil Road. I love this place as it consistently churns out good stuff for both brunch and dinner. Try their Banana Bread, Pumpkin and Quinoa Salad, and Seafood Stew or Lobster Linguine for dinner. This historic kopitiam has been serving grouchy uncles and working professionals in the area for decades. Still a crowd favorite for its crispy char grilled kaya toast and kopi-o. I love Lime House for its distinctive pastel green facade. This restaurant serves Caribbean style meats and drinks while retaining a local flavor with its decor. How can I not include Afterglow on the list for such a "health freak" like me? Afterglow serves a completely vegetarian menu, with many of its dishes being raw as well. Think innovative veg based dishes like raw maki, made from nuts, sprouts and rolled in nori other than your usual salads. I love Luxe Sydney for its airy concept, and that copper drinks pipe making a statement at the entrance of the restaurant. Come here for Australian grub and a decidedly laid back vibe. Where do I begin... I'm pretty much a regular here and I love everything about this place - the interiors filled with murals and eclectic vintage homeware, the music and the cocktails. Start from burgers on L2, then proceed to the rooftop bar on L4 for some fun Latina music, and then cool down in the lounge on L3 where leather seats and dark wood interiors welcome you. Stick to L3 for more serious cocktails - you can order off the menu or ask head bartender, Irwan, to make something for you based on your tastes. Neon Pigeon is the cool new kid on the block but it has already gained some 'bad rep' for well executed tapas style bites to complement its drinks, such as bone marrow and slow-cooked octopus. The Library is a hidden bar - one of those places where you have to give a password to enter. You will be greeted with pulsating red interiors with shelves of books and then you go pass a revolving door to enter the drinking den. This place really places attention to details - from the illustrated menu to drinks presentation, I think here would be my choice place to really lose myself.